Anna Halprin in Apartment 6, Helsinki, Finland 1965. Photo by Hank Kranzler, courtesy of Performance + Design, San Francisco. In August 1960, the choreographer Anna Halprin taught an experimental workshop attended by Simone Forti and Yvonne Rainer on her dance deck on the slopes of Mt. Tamalpais, north of San Francisco. Within two years, Forti’s conceptually forceful dance constructions had premiered in Yoko Ono’s loft and Rainer had cofounded the ground-breaking Judson Dance Theater. Radical Bodies reunites Halprin, Forti, and Rainer for the first time in over fifty-five years. Dance was a fundamental part of the art world in the 1960s. Halprin, Forti, and Rainer, all Californians with Jewish roots, opened the way to a radicalized vision for dance, music and the visual arts that continues to influence choreographers and visual artists around the world to the present day. Curated by Ninotchka D. Bennahum (Professor of Theater and Dance, UCSB), Wendy Perron ( Editor-at-Large, Dance Magazine) and Bruce Robertson (Professor of Art History and Director of the AD&A Museum), Radical Bodies: Anna Halprin, Simone Forti, Yvonne Rainer in California and New York, 1955 – 1972 consists of photographs, videos and original scores and drawings by Halprin, Forti and Rainer, as well as work inspired by them (presented in photographs, documents, videos and original works of art) by such artists as Imogen Cunningham, Robert Rauschenberg, George Brecht, and others. It is accompanied by a fully illustrated catalogue, co-published by UC Press, with essays by Bennahum, Perron and Robertson, as well as essays and documents by Simone Forti, John Rockwell (former dance critic of the New York Times) and the composer Morton Subotnick. 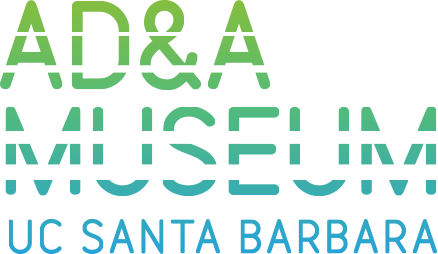 Organized by the Art, Design & Architecture Museum, UC Santa Barbara; generous support provided by the May and Samuel Rudin Family Foundation, Inc. the Ceil and Michael Pulitzer Foundation, Metabolic Studio, Jody Gottfried Arnhold, Victoria Hendler, Eva and Yoel Haller. Radical Bodies exhibition will be on view at the NY Public Library from May 24 - September 16, 2017. 7pm Film Screening: Privilege (1990) A film by Yvonne Rainer followed by Q & A.
UCSB student dancers perform reconstructions of Forti's Huddle and Slantboard. Presented by UCSB's Art, Design & Architecture Museum and the Department of Theater and Dance. Cosponsored by the Division of Humanities and Fine Arts, the Interdisciplinary Humanities Center's Community Matters Series, the Carsey-Wolf Center and the Departments of Feminist Studies and Film Studies.